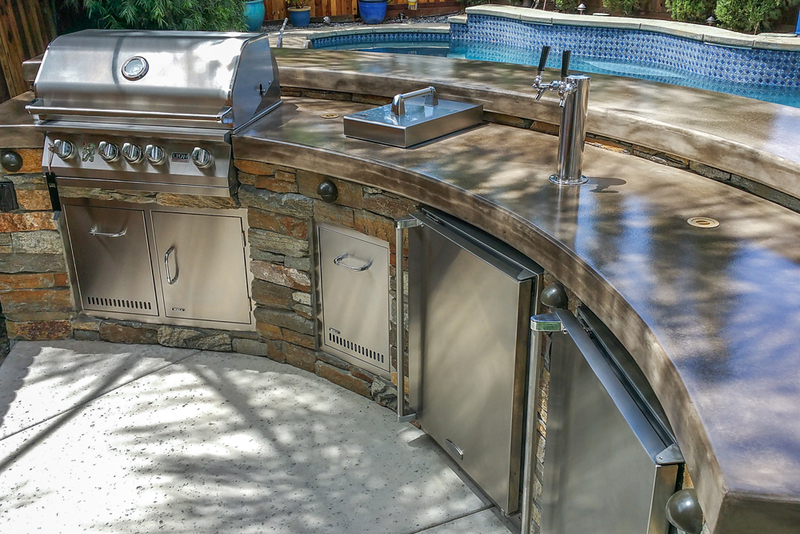 This exquisite outdoor kitchen and living area proves just how much you can do with a little bit of room and a lot of creativity! 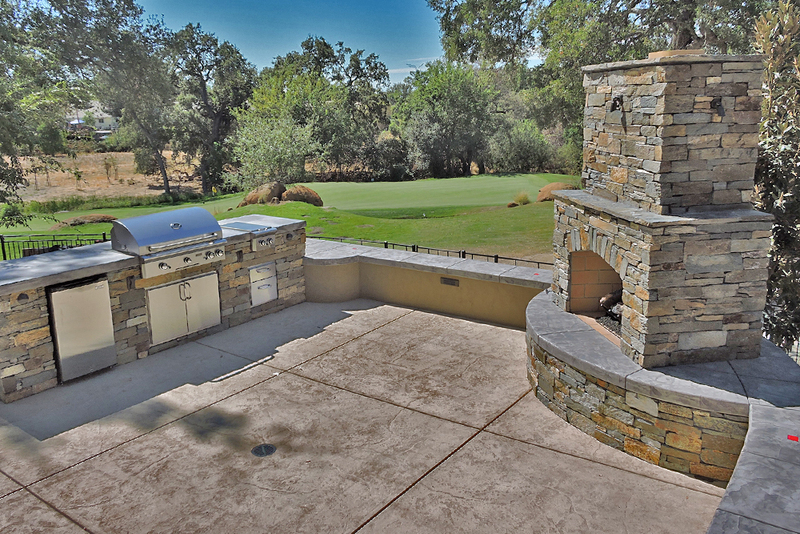 Walk out the back door of this home and you find yourself in a luxurious outdoor kitchen, fitted out with sink, grill, stovetop, refrigerator, and even a wine cooler! 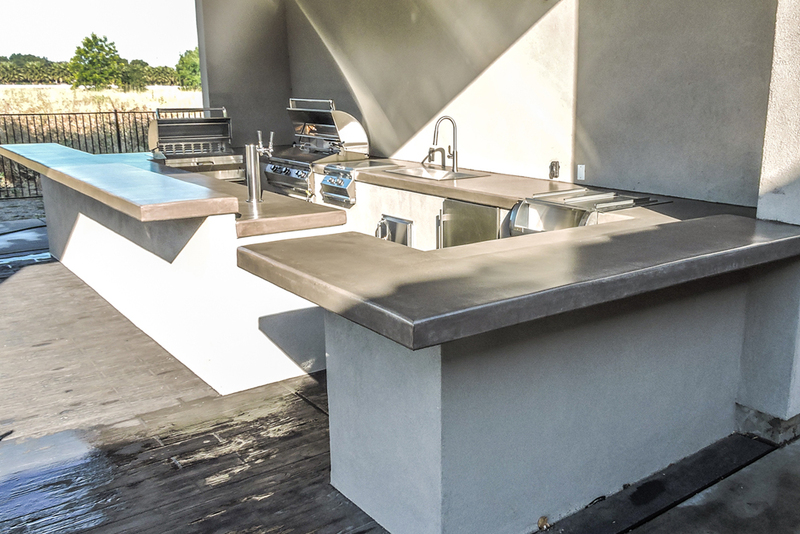 The concrete counter tops have the attractive and warm look of butcher block, without the worry of the wood warping out in the weather. 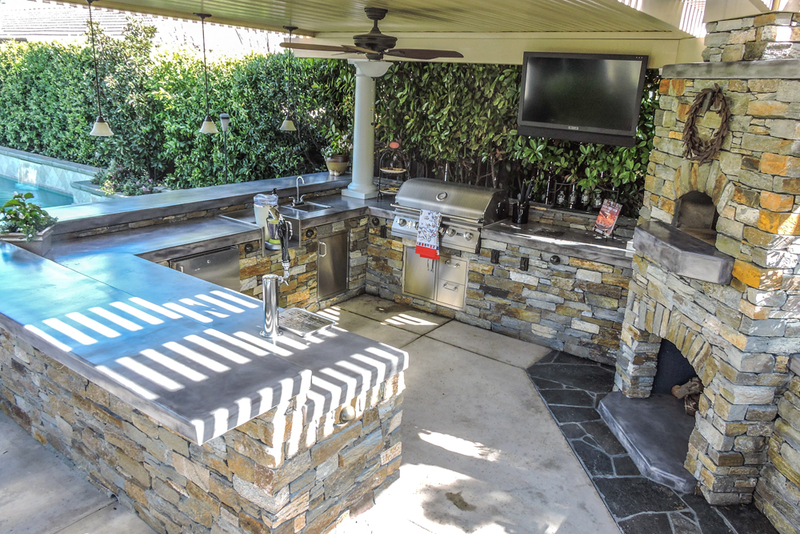 Even the traffic flow of this area is perfect, since you can easily grab a drink from the sink or from the refrigerator on the way out to the rest of the patio. 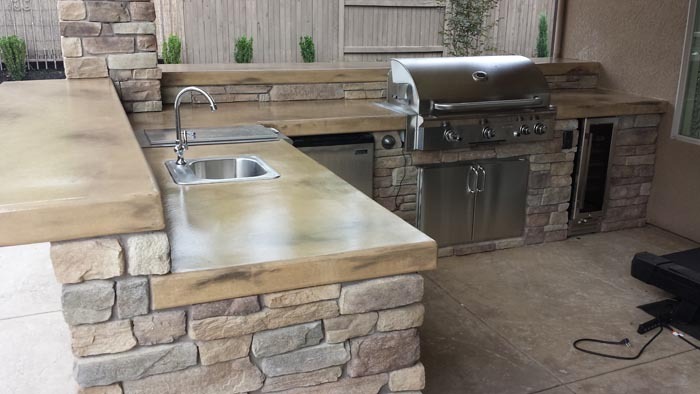 And for a cookout, there is plenty of room for the cook to work without having to feel separated from the rest of the party. 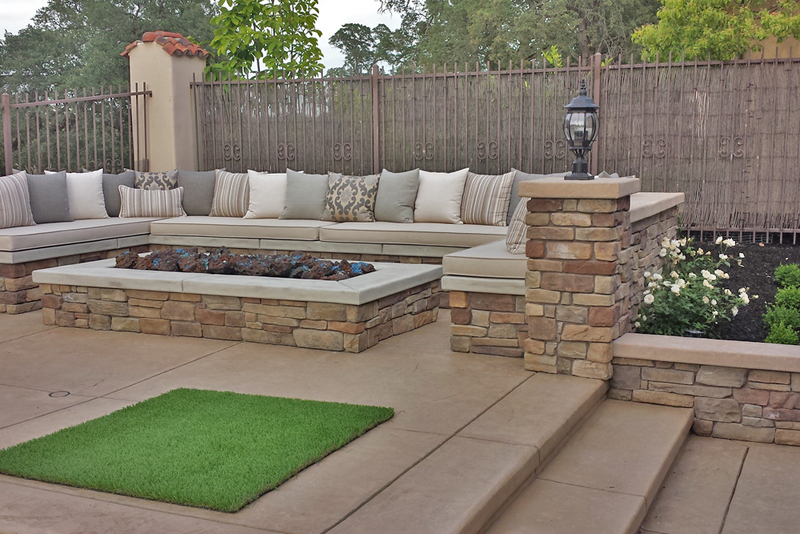 Continue on up the patio and you get to several different areas for lounging on patio furniture. 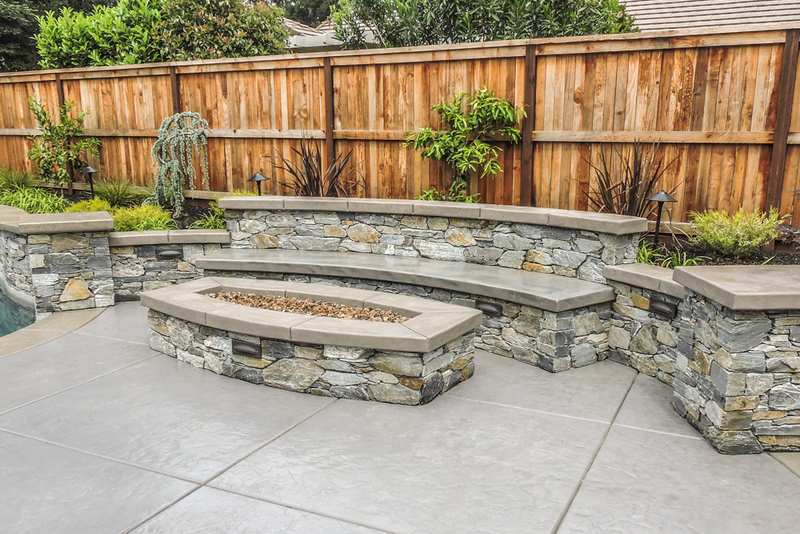 The most exciting of these areas has built-in benches surrounding a massive fire pit. 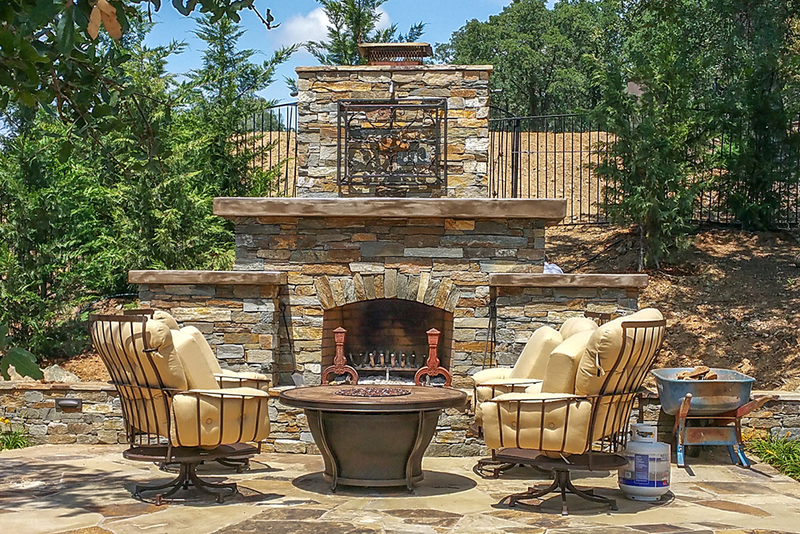 Just looking at this setup makes it obvious how much fun a party could really be, gathering a bunch of friends around this gorgeous fire pit, enjoying delicious food and drinks while talking in the firelight. 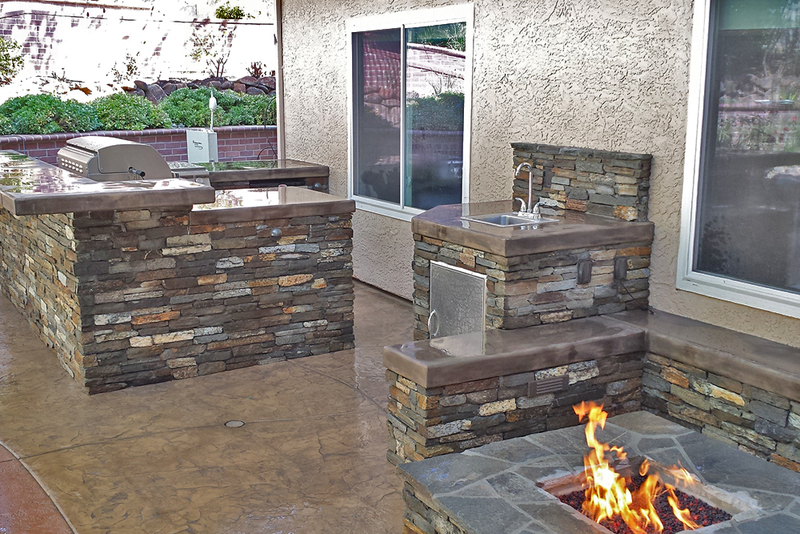 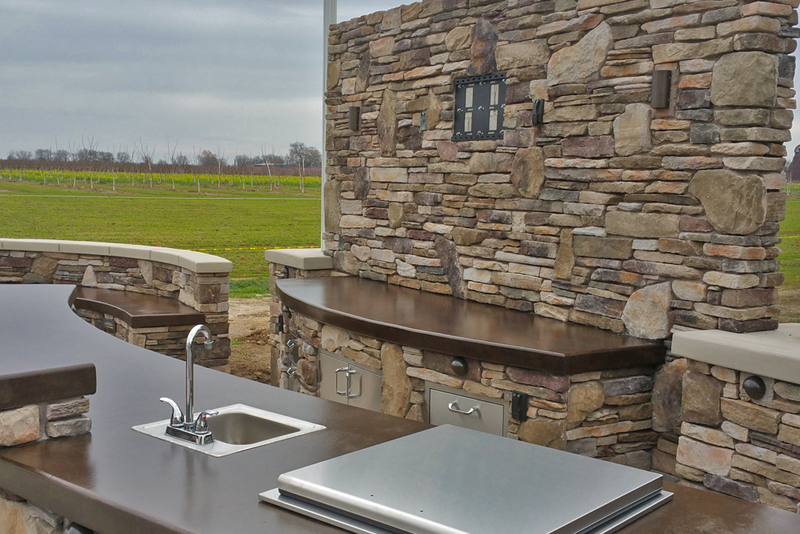 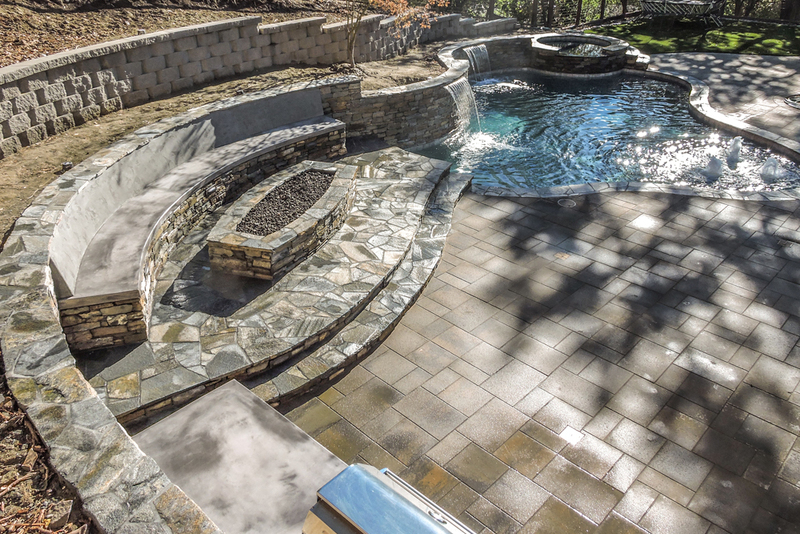 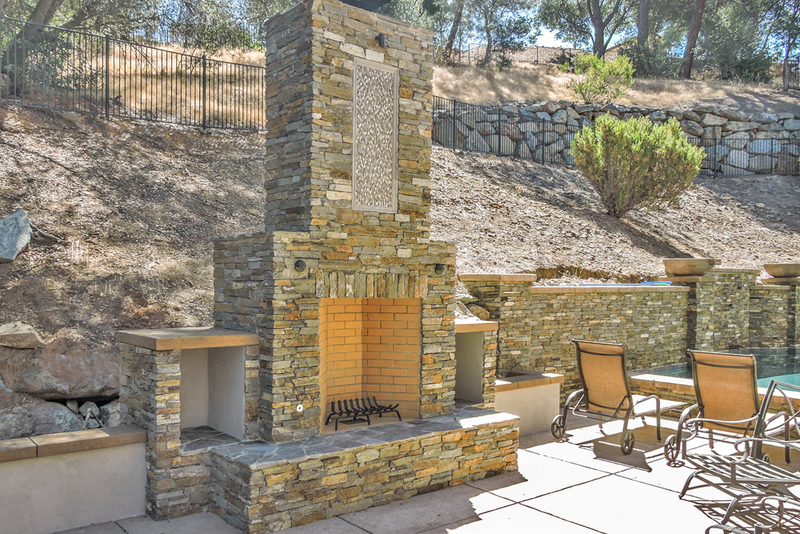 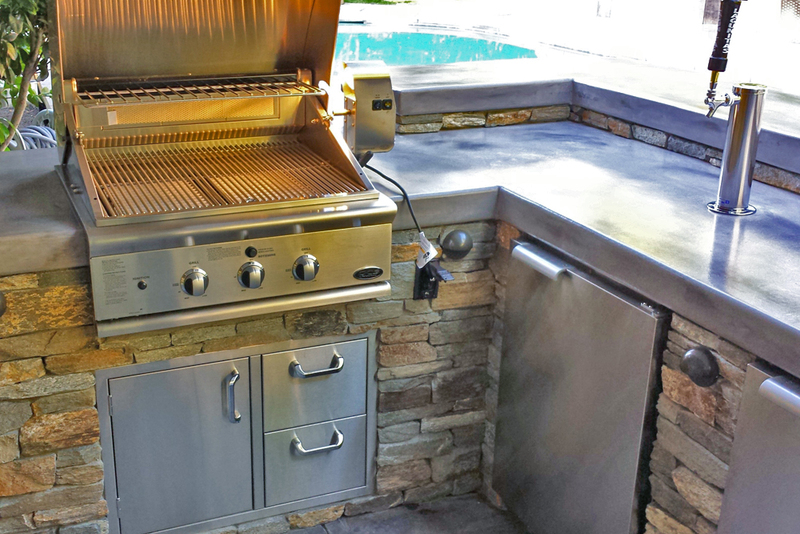 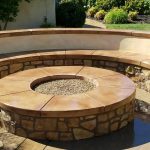 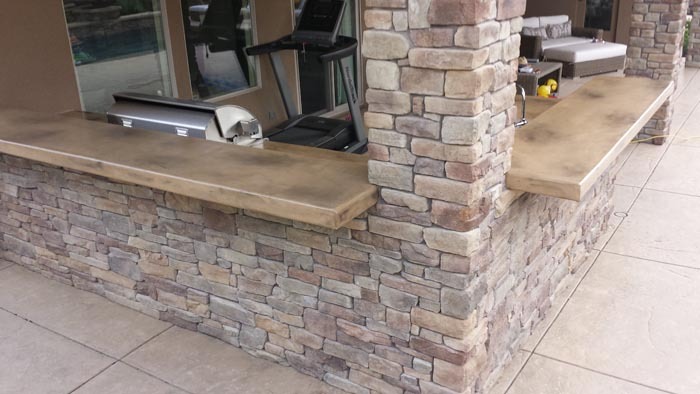 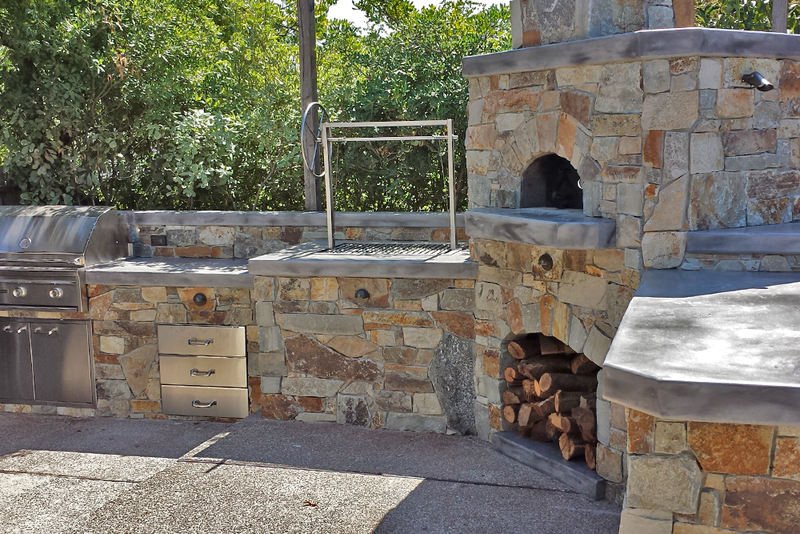 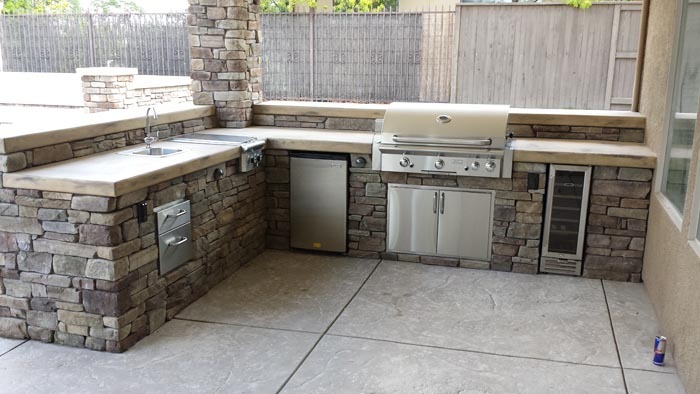 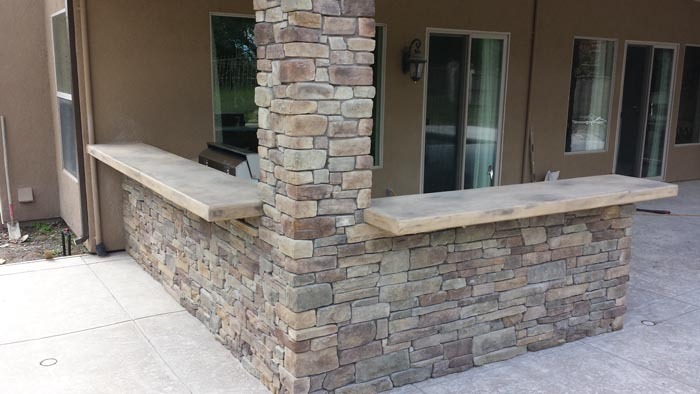 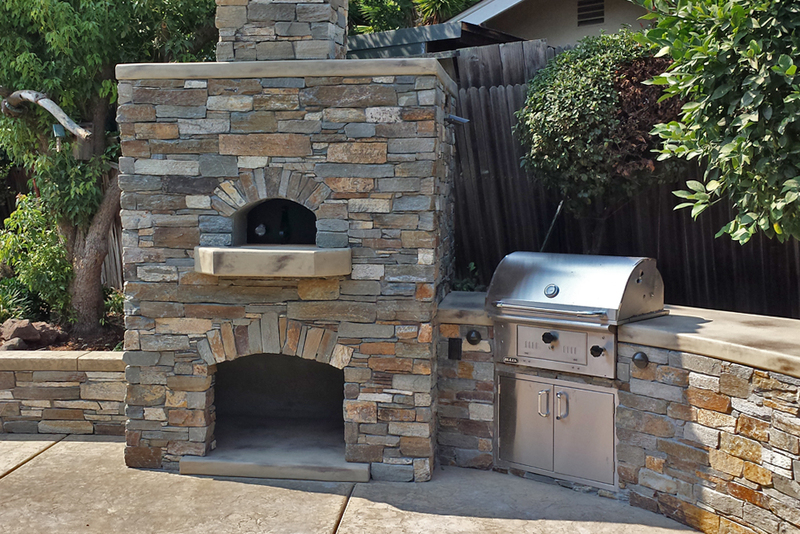 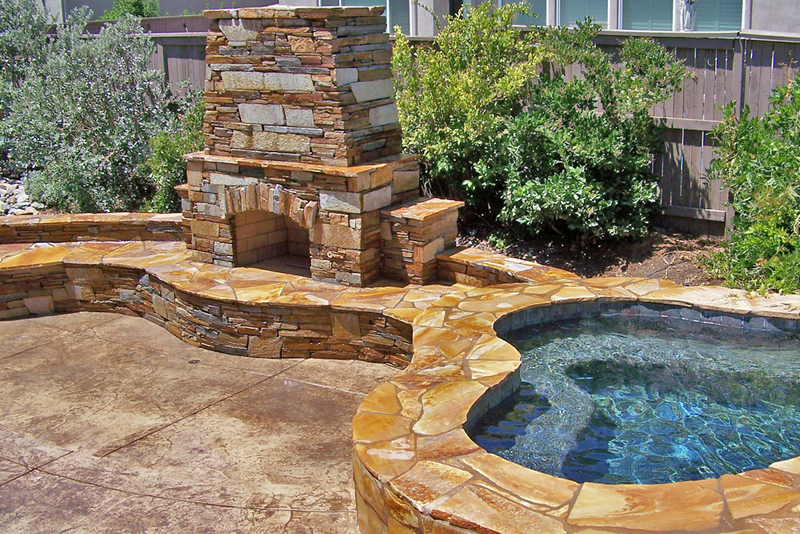 This really might be one of our favorite projects at Custom Image Hardscapes, and we hope it gives you a lot of ideas about what you could do with your own outdoor kitchen for your Sacramento, CA home! 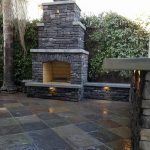 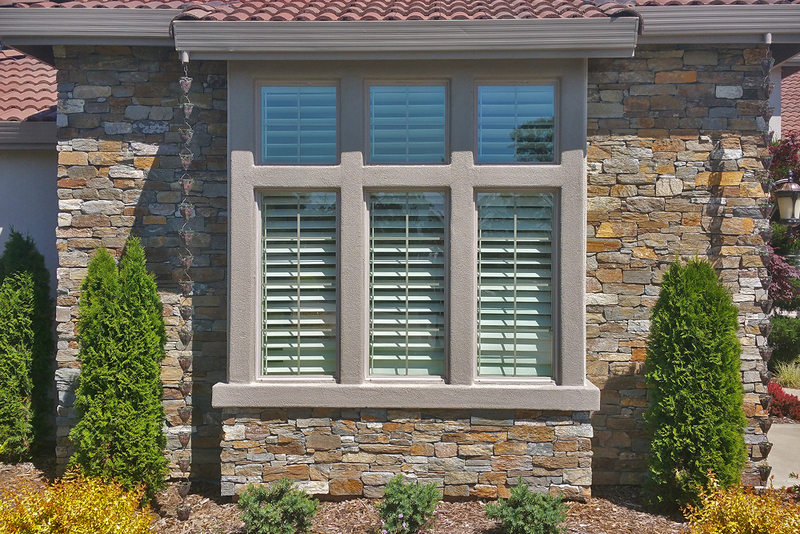 At Custom Image Hardscapes, we love doing custom work and changing basic kitchen layouts to fit all sorts of unusual arrangements. 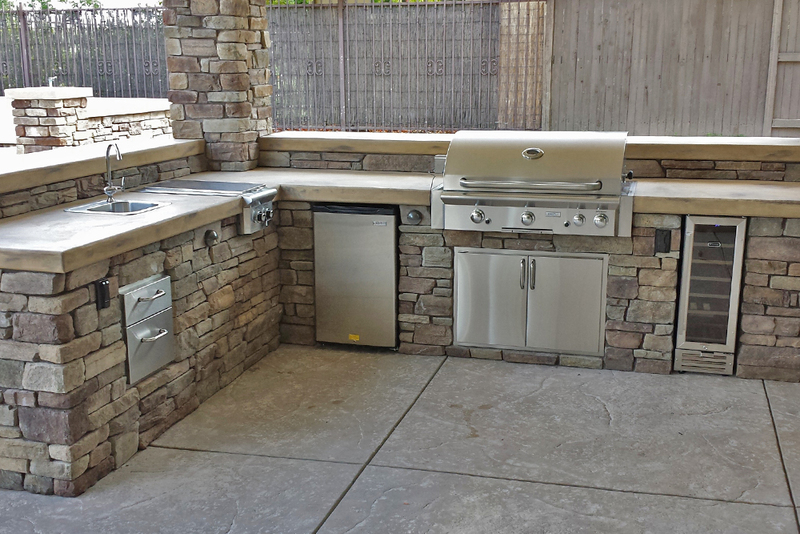 Every house is different, so why should every patio and backyard kitchen be the same? 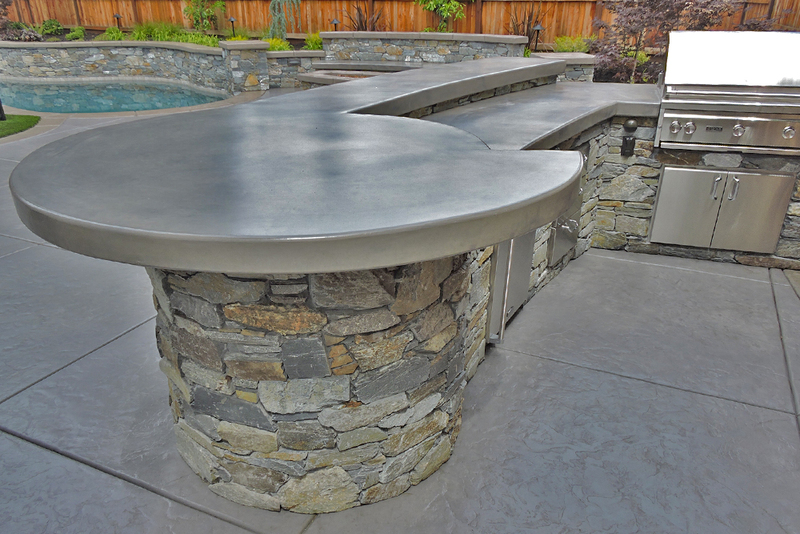 If you liked some of the elements of this design but don’t think you have room for it, never fear! 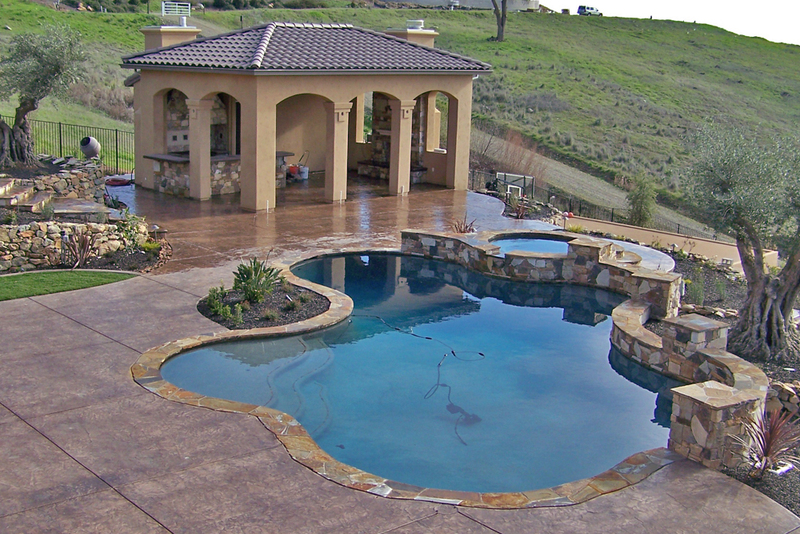 Just give us a call and we will do a complementary assessment and estimate for you. 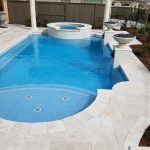 Our design experts are just that – experts – and they are amazing at taking an area and transforming it in ways you might not have even thought possible.